Art organizations and museums all have one thing in common: their collections have the potential to capture a global audience’s attention. Art has the ability to cross borders, break language barriers and speak to the individual, as well as different societies. Given the nature of social media, art collections are kept alive as people share and re-share year-round, across multi-national audiences. In this piece, discover how museums are using social media to spread awareness, share their collections and speak to the global individual. The Andy Warhol Museum in Pittsburgh, USA is the nation’s largest and world’s most comprehensive single artist museum. Its vast collection and archive of works in a range of media show both Warhol’s art and life. With a particularly active traveling show, for example their upcoming opening in Beijing for an Asia tour, The Andy Warhol Museum focuses heavily on building their global audience and awareness. That’s where social media comes in. Different from other more traditional art museums, The Andy Warhol Museum can use Warholian pop culture to tap into the fun and poppy nature of social media – namely Twitter, Facebook, Google+ and Vine. “We realized that Twitter, and social media in general for that matter, is the ultimate “Warholian” media where everyone gets their 15 minutes of fame and has a voice in a more democratic environment,” said the museum’s social media team. Creating an app called The Warhol: D.I.Y. Pop, the museum’s social team lets fans create their own Warhol inspired image and share it with other art fans across social media. Likewise, Warhol fans that can’t make it to Pittsburgh or to see traveling shows, connect on social to see rich media of his works and learn more about the artist’s life. “I tend to use HootSuite to be reactive and jump on opportunities that pop up in the media that relate to us. Our HootSuite desktop dashboard is more logistic, where we plan out a days, weeks or month ahead with scheduling. Besides using the publisher functionality, we use the search feature to lookup particular hashtags and handles quickly to see what fans and other art museums are saying and tap into those conversations” – Emily Meyer, Assistant Communications Manager, The Andy Warhol Museum. “Every Monday, I start my day off looking over my HootSuite customized analytic reports. 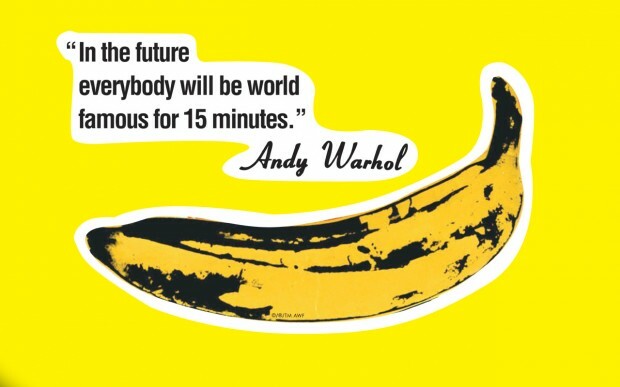 It’s a great way to get a pulse for what’s going on and what’s resonating most with our fans” – Joshua Jeffery, Manager of Digital Engagement, The Andy Warhol Museum. 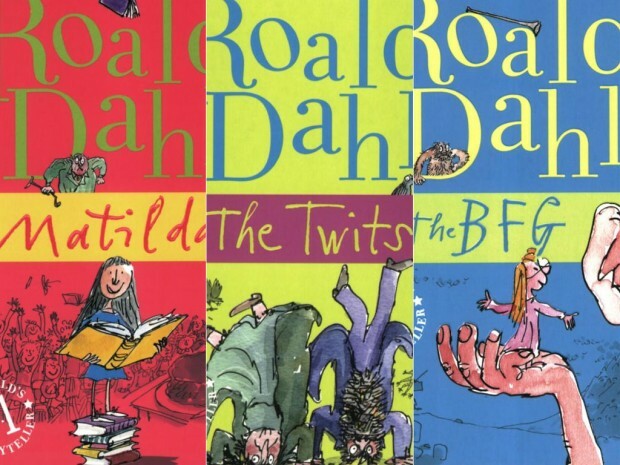 Charlie and the Chocolate Factory, The BFG, Fantastic Mr. Fox, James and the Giant Peach – many children around the globe read at least one of Roald Dahl’s famous stories. For 36 years, the renowned author lived and wrote his captivating children’s books in the UK village of Great Missenden, Buckinghamshire. Located in this same village is now home to the author’s archive at The Roald Dahl Museum. In honor of the late author, the museum’s three galleries all support storytelling and creativity using interactive activities and archive materials. While their social media team is small (one person), they’re doing big things on social with their storytelling expertise. The museum uses social media to build relationships, start global conversations and share stories and, of course, Quentin Blake’s infamous drawings. “With such a small team, HootSuite has some great features that help us manage our social media output. The most useful feature is scheduling. We like to be consistent and post everyday and scheduling makes this easy for us. Likewise, HootSuite’s mobile app makes it easy to answer inquiries, retweet or favourite posts when we’re on-the-go – rather than leaving them unanswered for a few days. “We use the search feature to find keywords relating to us and our events, such as #RoaldDahlDay, which is an annual celebration of Roald Dahl’s birthday in September. Tapping into conversations online about Roald Dahl or one of our visiting authors gives us new opportunities to open up global conversations. Seeing everything at one quick glance is a time saver for us” – Kim Osborne, PR & Marketing Assistant, The Roald Dahl Museum. Situated in the heart of Bradford, UNESCO City of Film, is England’s National Media Museum. Home to over 3.5 million items of historical significance, broken down into the National Photography, National Cinematography, National New Media and National Television collections, this institution aims to celebrate and share the best of the still and moving image with the world. For example, this institution is both home to the first motion picture as well as the first computers, televisions and game systems. The National Media Museum uses social media to spread brand awareness and share rich media of their extensive collection, while growing their reach to include those with even a passing interest in film, photography or television. In building their online presence, they’ve exposed a fun, friendly and accessible side to their brand on social networks like Facebook, WordPress Blog, Pinterest, YouTube, Tumblr, SoundCloud, Vimeo and Flickr. “HootSuite has become an essential tool for managing all of our social networks. We have several stakeholders who all wish to put out messages (our press, web, marketing and cinema team, for example, are all eager to share updates) and HootSuite makes this possible to do this without trampling over each other’s toes. Using the scheduling functionality, we can optimise our social content and spread it out for maximum exposure, so that we remain ahead of the curve if things get busy” – Kieron Casey, Marketing Executive, The National Media Museum. Thank you The Andy Warhol Museum, The Roald Dahl Museum and The National Media Museum for participating! To keep your business’ audience entertained, a powerful social relationship tool is required to manage and schedule your social marketing ahead of time and live share rich media on the fly.